Gone are the times when the kitchen was purely for cooking and washing up. Contemporary kitchens these days are hard-working multi-purpose spaces that act as a social hub where dining, family conversations, and social entertaining takes place. And if the kitchen is the heart of the home, the kitchen island must surely be the heart of the kitchen. Kitchen islands have experienced a huge surge in popularity in recent times. If you’re looking for inspiration to redesign your kitchen, you’ll be hard-pressed to find a kitchen showroom where islands don’t take centre stage. Sure, they all look fantastic but is it really worth splashing out on an island? 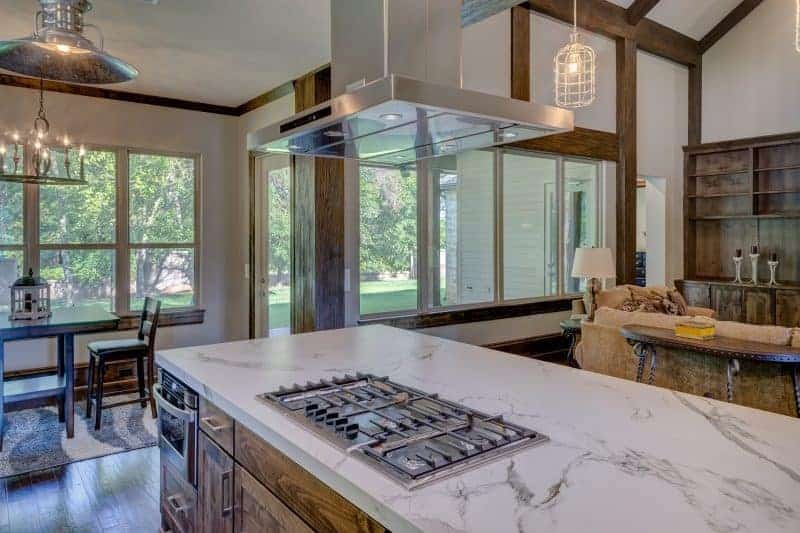 Dakota Murphey, an interior design enthusiast, takes a look at the main pros and cons of having a kitchen island. The biggest advantage of having a kitchen island is the extra storage space it provides. If you love to cook and also keep crockery, recipe books and other related paraphernalia in your kitchen, you know that you can never have enough storage. Kitchen islands can be designed with additional drawers, cabinets and shelves to give you a vast amount of additional space to keep everything tidy and organised. Kitchen worktop space is always highly prized and a kitchen island will create lots more room for cooking and food preparation. This is particularly useful if you have a number worktop gadgets such as coffee machines, bread makers or juicers, or you regularly prepare elaborate meals. As an added bonus, more space means more people can work in the kitchen at the same time – time to get the family to cook together! Another benefit is that the extra space created by the addition of a kitchen island gives you more choice in what to put where. How about putting a prep sink on the island? Or the hob, complemented by a stylish, suspended island hood overhead? You could also fit extra wine storage or even a wine fridge underneath the counter. 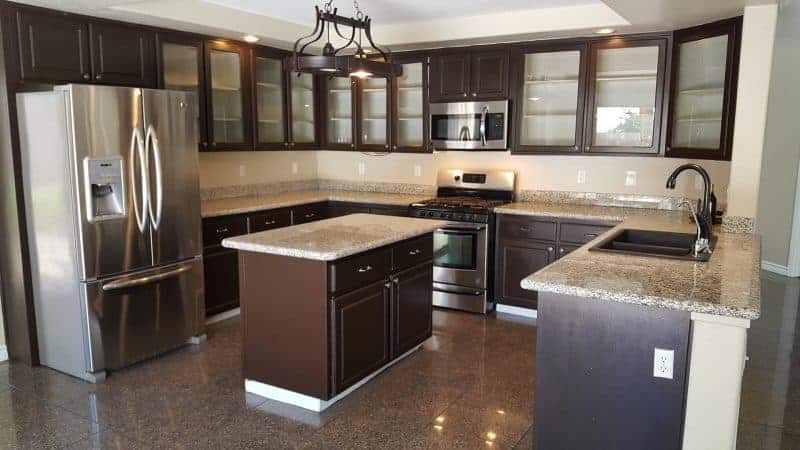 Increase the functionality of your kitchen island in a way that works for you and your family and really reap the benefits of the extra investment. Finally, a kitchen island can double up as an informal dining table where friends and family can congregate for breakfast, lunch or dinner. Many islands are designed in such a way that bar stools will fit snugly underneath one side. In this way, kitchen islands are a great way to do away with the traditional divide between the kitchen and the dining room. If your kitchen is on the small side, installing an island may simply not be practical as there just won’t be enough space for you to still be able to move around comfortably. As a space-saving version, you could look at a peninsula design, where one side is attached to the wall or wall units. Alternatively, try a freestanding ‘rolling’ island or butcher’s block on castors that can be moved out of the way whenever necessary. A kitchen island with a sink or a hob may seem like a great idea but don’t forget that the installation will mean gas, electricity or water connections being rerouted to the island. This will have an impact on the installation cost and can be disruptive to the rest of the kitchen design. Where there is a limited budget available, fitting a new kitchen island may not be the most sensible option. Installing a kitchen island just because you like the look of it is definitely not a good enough reason. 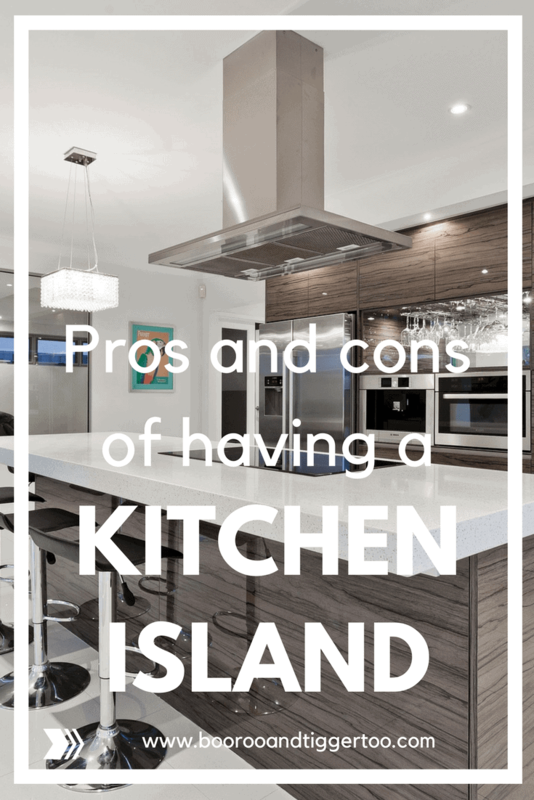 In fact, if the island doesn’t serve a particular purpose, it could be more of a hindrance than a help and simply be in the way. With the kitchen being one of the highest traffic areas in the home, the flow, design and all the elements of the space need to work in your favour, not against you. Previous Post: « Asbestos in your garden should you be worried?